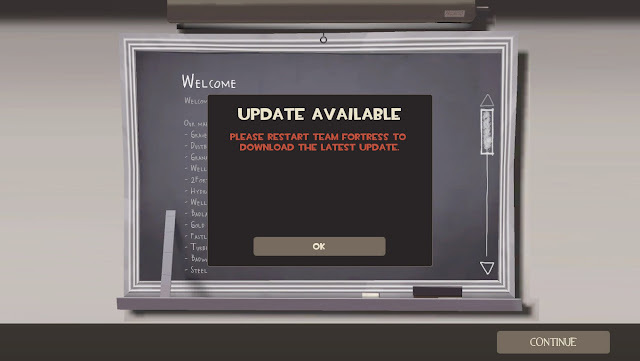 Team Fortress 2 is, in truth, a pretty old game, having been released in 2007. 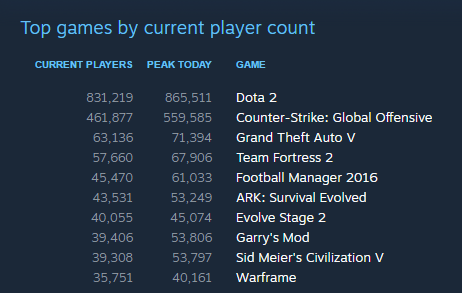 Nevertheless, despite an influx of new games and waves of updates that has changed its face hundreds of times (more than 400 to date), this MMOFPS is still among the most played games on Steam. Most played Steam games at of July 13, 2016. Because it just wouldn't die. 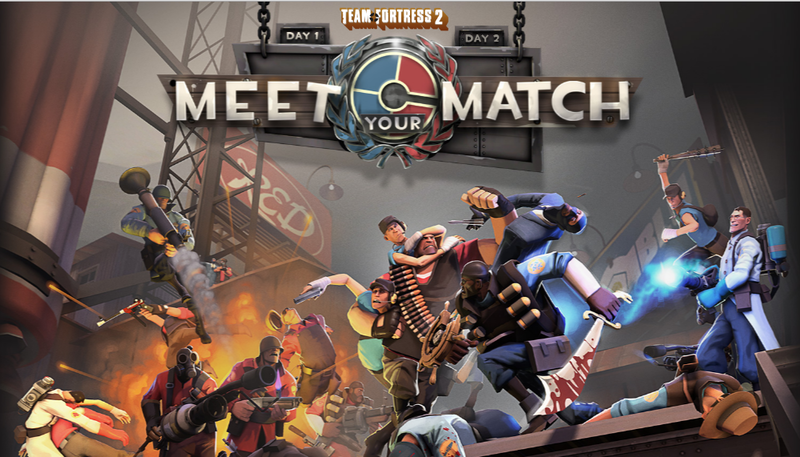 So it's not surprising then that midway 2016, a big, bold update came to Team Fortress 2, one that really shook the community: the Meet Your Match (MYM) update. This Neato update brought a lot of new things that many players have been long asking for, as well as some unanticipated changes that Valve immediately changed due to the clamor of the community. As a simple hired mercenary who's had her fair share of fights in Teufort, let me share a few of my personal observations regarding this sometimes loved and sometimes hated update. A new menu, a new game mode, new maps, new matchmaking systems, new crates, new taunts, new tutorials... This update sure put in a lot of new things into the old video game, with a number of them finally released from their long-time beta status. 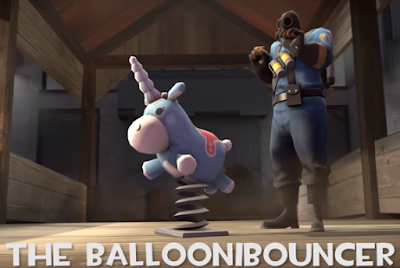 You can check out all the updates on the official page while I just hang out with my Ballonibouncer over here, ok.
Now take this with a grain of salt, as I have yet to join the actual Competitive servers. Based, however, on what I've heard off the community, many have considered it a pretty interesting dive into TF2's competitive sphere. Not quite sure if it's exactly what everyone's been hoping for (many people have advised against queuing solo and just think it's a joke), but it's at least a step into the right direction. And since we're on the subject of class changes, the update also brought with it a new comic about a clash between Pyro and Heavy. In this war, you can choose between the two aforementioned classes. The class backed up with the most points will get a "full-fledged class pack" with new weapons, balancing, and who-knows-what in a future update. The Quickplay menu, which featured Valve's own public servers, had always featured prominently in my initial escapades with TF2. With it, all I had to do to play in a server was to choose a mode, choose a map, and then wait for a while as I got teleported next to a random set of players. This had always been my experience since I started playing TF2 in 2015, and the loss of the vanilla Valve pubs with the Meet Your Match update really broke my heart. RIP Quickplay, which matched me with unplayable servers, placed me in weirdly mixed teams, and gave me many beautiful pub moments. Of course, this does not mean that pubs as a whole are gone. 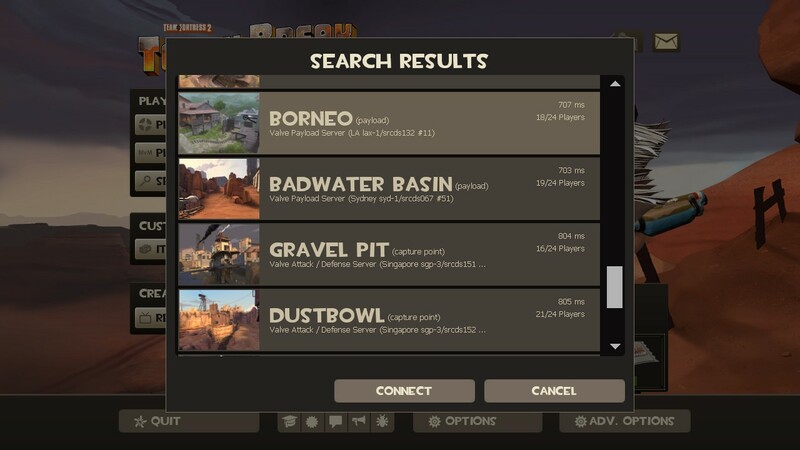 The new menu allows you to choose from a list of community servers through the server browser, which, I believe, many veteran players are probably familiar with. Sure, more than a few of the community servers running have odd plugins and generally weird maps, but many people in the community are opening up vanilla servers for us Quickplay refugees to recreate that old pubbing experience. Anyway, at this point in time, I did find a couple that were vanilla as can be, though with a flying sentry or two. My only beef about the loss of Quickplay was that I wish Valve let the community know ahead of time about this. Maybe a couple of server owners might have prepared some servers in advance to fill the need for pubs. At any rate, I'm sure a number of people are working right now to get those kinds of servers back up, so I'd give it a month before I could regularly and happily find the maps I've long enjoyed and loved. I was online during the initial releases of MYM, and I was able to download the updates as soon as they hit Steam. That being said, I was among the first few who had trouble when trying to get into Casual Matchmaking Mode. 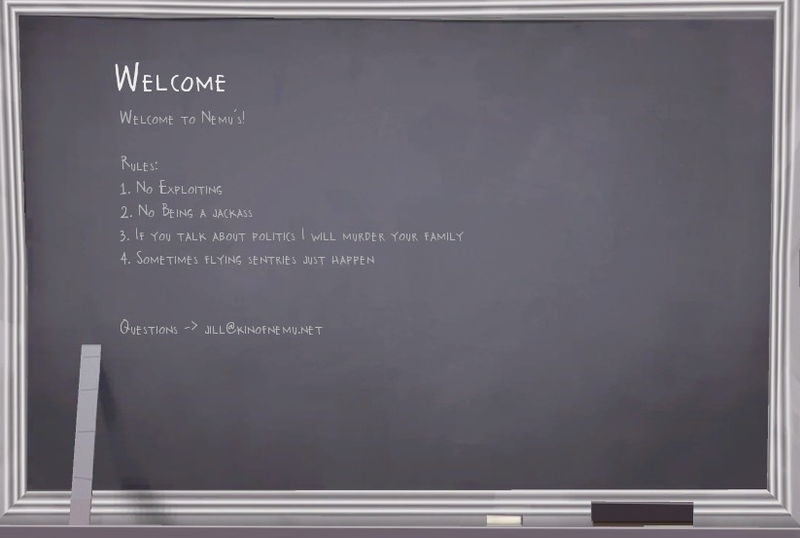 I remember how I couldn't connect to a server after waiting for 30 minutes, while, of course, joining the multitude in mourning over the loss of Quickplay. 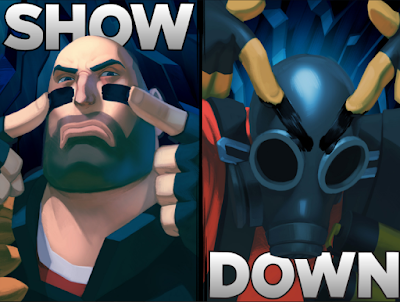 Valve was quick to release a patch for the Casual Mode though, and everyone, from myself to the community in general, was pretty pleased to know that they've been listening to the people's complaints opinions about the mysterious new mode. The "Update Available" screen was just begging for forgiveness, all right. Once everything had settled down and I was able to actually try out Casual, my experience was just mind-blowing. I had a lot of fun, and it was just the fix I did not know I needed after many, many hours in the Valve pubs. Yes, Casual Mode gave me an elevated pub experience, and scratched that itch I didn't really know I had. After all, as opposed to a regular Valve pub, everyone seemed to be honestly working towards the objective. Sure, there were a few newbies and players that seemed to get lost in the map (oh wait, that was me when I was placed in maps I don't usually play in, like Swiftwater or Snowplow), but everyone in general was doing pretty well. As I mostly initially played as a Medic in Casual, I believe that I got a good idea of how my teammates and how the enemy team played. (You pretty much know the skill level of the teams by the way they take care of a Medic.) I had more than a few teammates who did their best to protect me while I was healing them. I was also constantly pestered by Scouts and Spies, but a lot of my team members actually turned around to help me when I cried "Help!" The gameplay as well was pretty exciting, and while the teams were not always balanced, it was nice to see that I was playing with people who were more or less at my skill level. 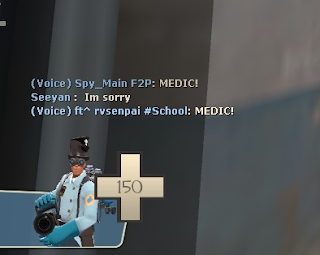 I also got a "Sorry, Medic" or two from players who allowed me, their Gibusvision Medic, to die in front of them. Heart-warming. 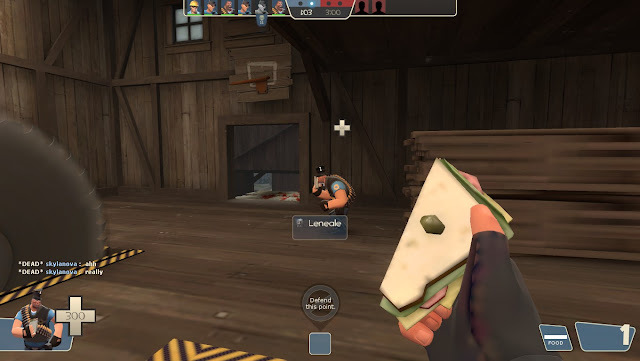 Unfortunately, I have a feeling that Casual will soon revert to being more and more pub-like in the future, as I'm starting to see more and more Sandvich Hoovies and Rancho Relaxing engineers in the field. Oh well, it was fun while it lasted. As much as I enjoyed my first few Casual Mode games, I have to admit that there were a few things I did not enjoy about my experience. Honestly though, I think it may be because of some kinks due to how it's been newly released, but as Valve seems to be listening to the community's feedback regarding the update, there will probably be a few more changes coming within the next weeks or so. One major thing that has bothered me was the lack of the option to scramble teams when there was imbalance. I applaud the fact that the auto-balance mechanic has been rightfully removed from Casual, since the lack of it forces people to stay in a team and work with each other to actually complete the objective. However, it can be sad to see teams lacking in players, such as a 9v12 or even a 2v6 match. After all, the leaver penalty has since been lifted, and people are free to go as they please, which can sometimes have devastating impacts on team balance. One of the few times I didn't tryhard in a Casual match, and where I ended up as a Pootis in pity of the other team. 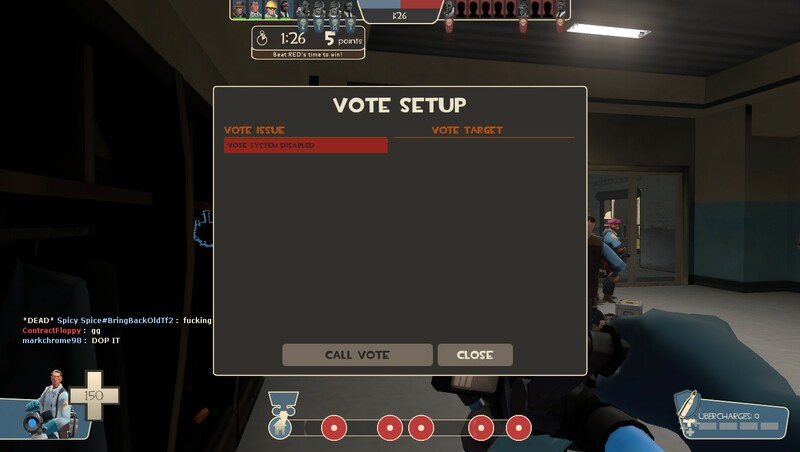 Oh, and besides auto-balance, the vote system, at current, is disabled. Generally good, so you don't have that scramble option in the middle of a match, but particularly bad if you know someone is hacking. Because yes, hackers ARE still around in this game. Yup, have fun playing against a hacker you can't kick. GG. In this particular match, the hacker was aptly named "mfw volvo removes votekick". Perhaps a douche mann merely raising awareness to this plight? 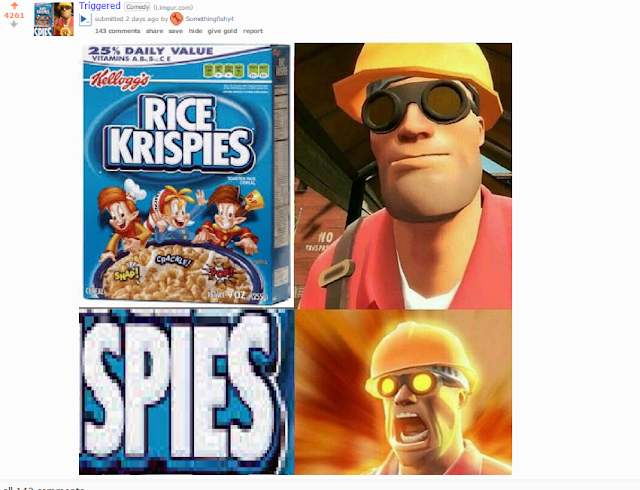 You know the TF2 Reddit community's kinda settled down when they start upvoting stupid yet slightly entertaining posts again. 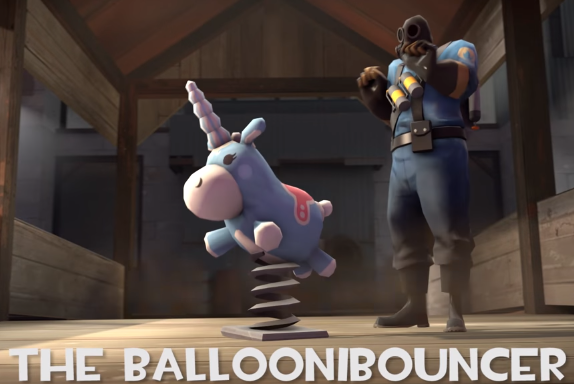 Personally, I think that this is a good update all in all, and it's a good reminder that Valve still has some kind of interest in breathing some life into old Team Fortress 2, despite it being a nine-year-old game. 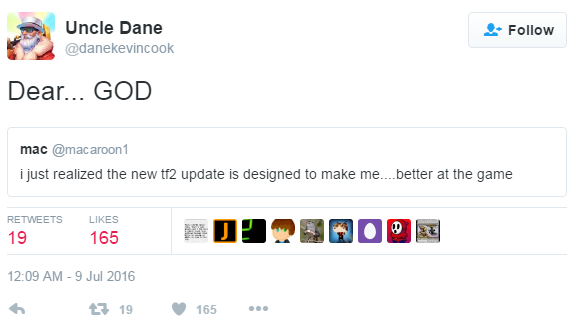 Plus, one thing's for sure: after it getting nearly 500 updates, I doubt that this is the one that's going to totally break TF2, or make people stop playing. But who knows? Let's see what the next update will bring. But what about you? What are your thoughts about the Meet Your Match update, and what other things can Valve do at this point to "fix" it? This has been DC the pub scrub, loitering in Casual until kingdom come, and, for now, signing out. First published on July 14, 2016. Updated July 21, 2016.